TIKA tutorial learns about the basic topics of Tika library, the file formats it supports, as well as content and metadata extraction using Apache Tika. 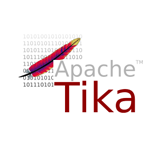 Apache TIKA tutorial is built for the users pursuing java programing, who want to learn document type detection, and content extraction, with Tika and for all the enthusiastic readers. Readers should have prior exposure to Java programming with JDK 1.6 and IO concepts in Java.